When Spaghetti Western movies meet Slots...check out Sticky Bandits online! 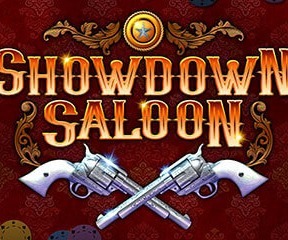 When Spaghetti Western Movies Meet...Slots! It's time for you to leave the Saloon, load your handgun, and hop on your horse - because that train aint going to rob itself! The Sticky Bandits Slot machine is a great online game by Quickspin. Open the game and get ready to travel back to a time when nothing was more important than fast hands, a good aim...and a good horse. 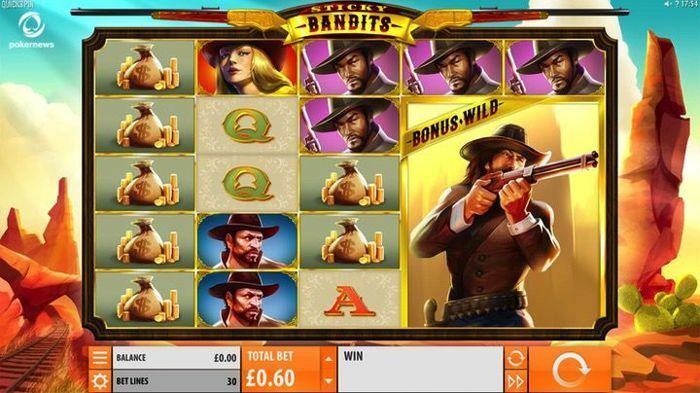 Set in the Wild West, Sticky Bandits is a five-reel Slot machine with 30 paylines, a Return-to-Player (RTP) of 96.58% , and a heroic soundtrack. 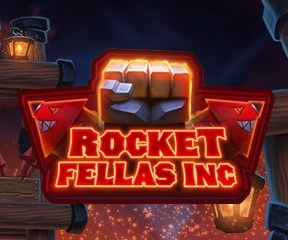 If you like online slots with a storyline or you are looking for something that isn't the usual Vegas Slot game, the sticky Bandits Slot machine is the one you want to play. 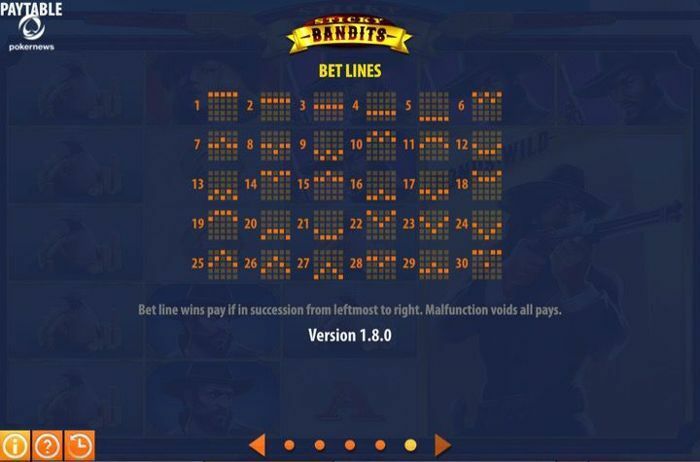 This is the best of all the free Bandit games you can play online. The game is loaded with great features. 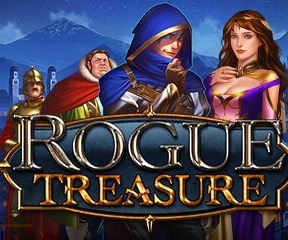 I invite you to play for free as a demo or for real money to discover why I this is one of the top Slot machine games to play in the United Kingdom in 2019. Everything you need to feel like in a Sergio Leone movie is there. 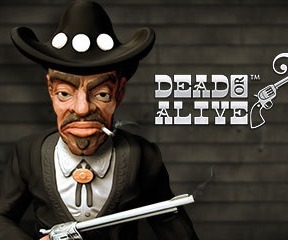 Bags full of money, beautiful blonde girls, stacks of dynamite, and cold-blooded killers are what make this a unique gambling game. Also, do keep an eye on the massive wild symbols that depict two dangerous villains. 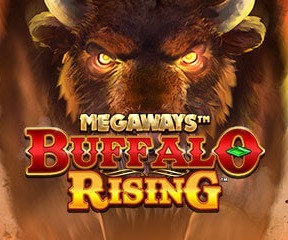 These supersized symbols act both as a Wild symbol and a Bonus symbol, allowing you to build all the best winning combinations — and access the Free Spins Bonus round. As usual, this is the one you need to trigger if you want to access the best Sticky Bandits has to offer. 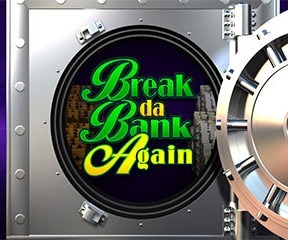 The Free Spins Bonus round begins when a Bonus symbol appears on the first reel and a Wild symbol is on the reels two or seven. Whenever this happens, you start a special series of seven free spins. You can't re-trigger the bonus game when the Free Spins mode is active, but the positions containing the Wild symbols when the bonus starts stay Wild for the entire duration of the round. 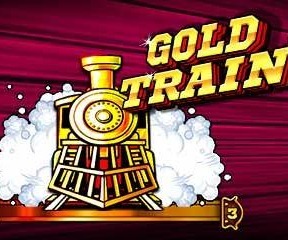 The Wild symbols that appear during the free spins bonus round also remain on the reels for the entire duration of the bonus. That's why you only need a bit more luck than usual to turn the seven free spins in a big, fat prize. You don't need to use real money to play the Sticky Bandits Slot if you don't want to. 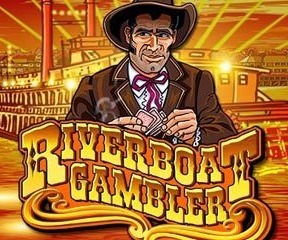 The game is available in freeplay demo in the UK and you only need to register an account at BetVictor Casino to play. 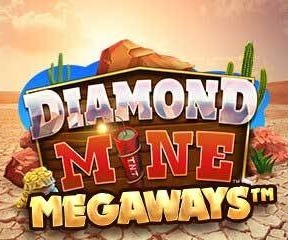 The real money games begin at £0.15 and go all the way up to £90 per spin. While the largest bet might be a little too expensive considering this isn't a progressive Slot, the lower stakes are much, much sexier. The top-paying combination on this game (max bet + best payout) pays £54,000. You can play Sticky Bandits for real money on BetVictor and, if you haven't played there yet, you can also use their welcome bonus to start. 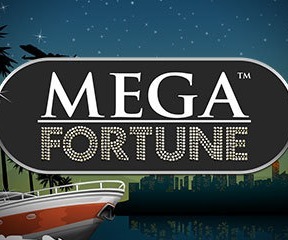 All UK players are eligible for a £50 bonus package to play Slots and more. The bonus is yours as soon as you wager £10 on real money games — for more info about this offer, visit this page. 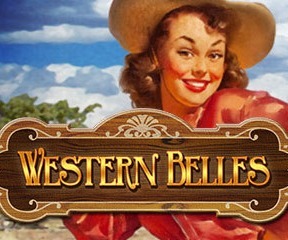 Once you land on BetVictor, Sticky Bandits is not the only Wild West-themed game you can play. The list below gives you quick access to some other great games that those who liked Sticky Bandits online loved to play. 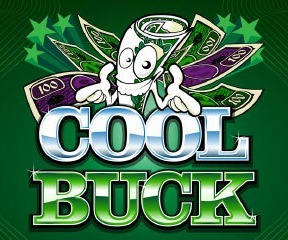 Play Free Deuces Wild Video Poker Online and Have Fun!